Also new in 2019, Saturday riders can ride a Quarter TOSRV, 25 miles to the first food stop and 25 miles returning to either Canal Winchester or Portsmouth with the “hop-back” option. The half TOSRV takes riders approximately 50 miles, through two foods stops, and back again. Canal Winchester will be hosting their annual Art Stroll and Festivities. The party in Portsmouth will take place in Tracy Park. Both festivities will include live music, food trucks, and fun! The most exciting new addition to TOSRV is a gravel ride in the Shawnee State Forest in Portsmouth. 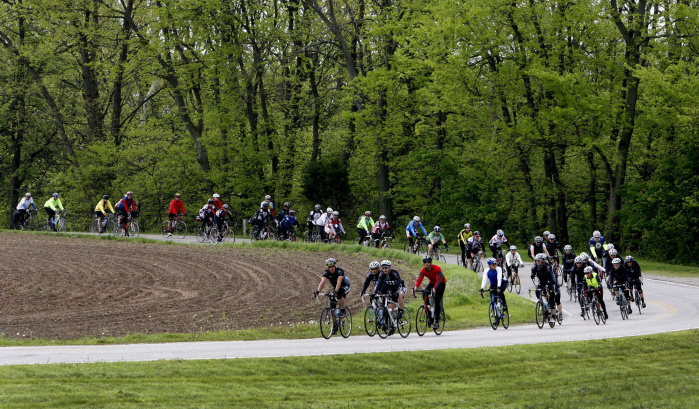 Sarah Swallow, a native to Ohio and nationally known adventure cyclist will be designing the route, along with the Southern Ohio Mountain Biking Association (SOMBA), who is also hosting the gravel ride option. Scroll down for a map overview of locations, including food stops. All kids 14 and under are $20. **There is no “mass start” for the event, however, we encourage you to meet up with friends at the start so you can ride together for the first few miles. The best memories of TOSRV are because of the friendships shared and the new friendships forged. Tab-Back - "Because after riding 200 miles in two days, someone better be paying my tab when I get back!" Cab-Back - "Because I could ride 200 miles in two days, but I choose to cab back!" Brew-Back - "Man, a brew sounds good when I get back!" Hop-Back - "A short hop, then I'll be back!"